What ever is stopping you now doesn’t have to continue past today…I believe that in my very core…it isn’t easy…admittedly, it took me 3 years, post remission, to stand up and start fighting back…and it was a FIGHT…whether you are fresh from your “cancer” or in year 5…I believe that you can stand up and fight back no longer letting it stop you…it will take work…you may need counseling, or to get back into community or church…maybe you need to start telling your story…there is such POWER in telling your story! How can I support you in no longer being stopped? 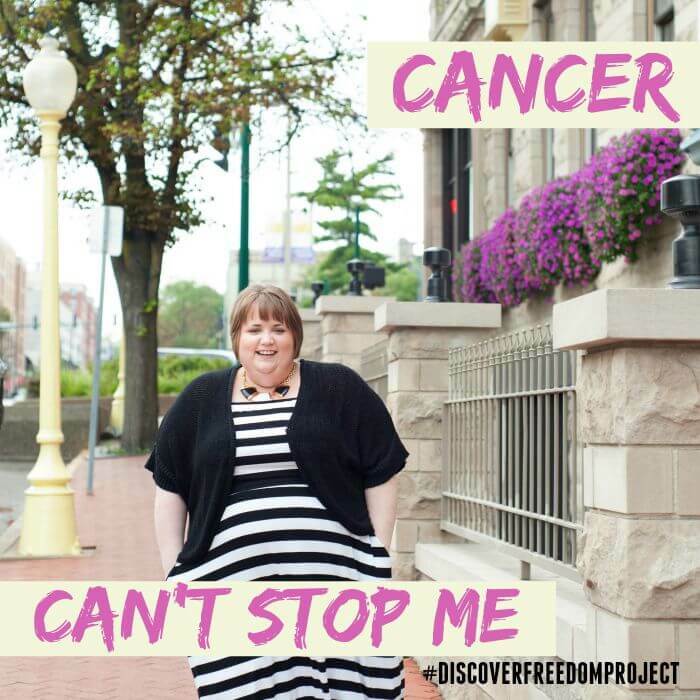 What would you like to see happen with The #discoverfreedomproject?